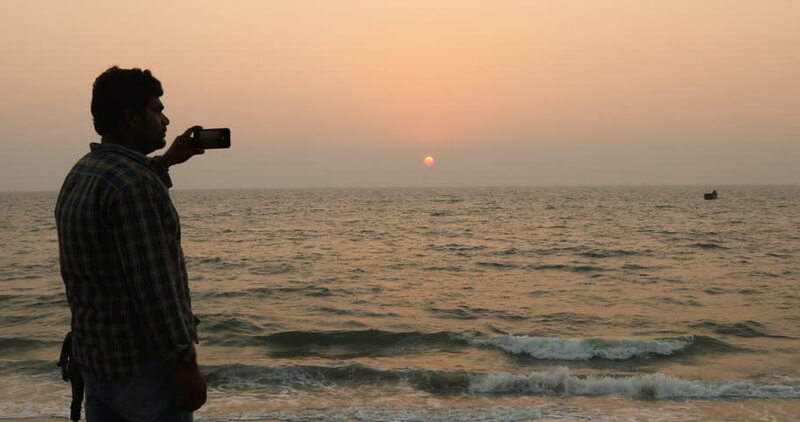 4k00:09Silhouette of a young man taking pictures of the beautiful sunrise with mobile phone at the beach. 4k00:11Silhouette of a young man taking pictures of the beautiful sunrise with mobile phone at the beach. hd00:19Quadrocopter drone takes off from the pilot's hand and hovers over the guy. The guy starts a drone on a green glade against the backdrop of the sea and cargo ships. Slow motion (120 fps).